If you have ever worked in fundraising at a nonprofit organization, then you understand the importance of a positive return on investment. As a member of a development team, you make choices every day about what types of fundraising activities justify your budget dollars and staff time. Whether your nonprofit organization is small or large, established or new, prospect research can enhance your fundraising capabilities and help your organization spend its dollars and staff time strategically to ensure the maximum return on its fundraising investment. The biggest cost to a fundraising campaign is not software, travel reservations, or event planning – it is staff time. Every minute your staff spends on a low quality prospect is a wasted fundraising opportunity. 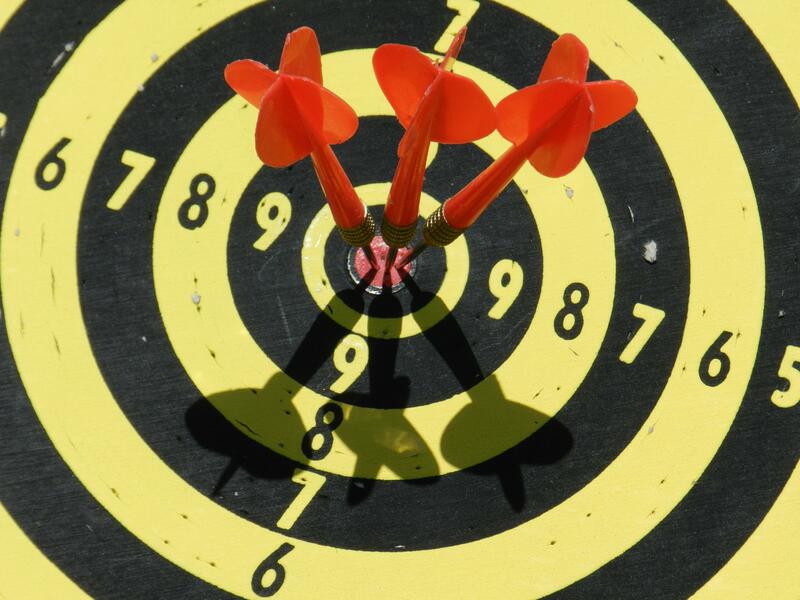 Prospect screening can help your development team identify which donors to focus on based on if they have given charitably in the past and have the capacity to make a major gift in the future. Additionally, understanding the specifics of a donor’s financial situation can enable you to refine the suggested gift amount to ensure it is both appropriate and capitalizes on a donor’s capacity to give. Prospect screening can reveal which of your annual fund donors have the capacity to make a major gift. For example, let’s say you have a donor that has made multiple $100-$500 gifts over the course of their lifetime – clearly this individual has an affinity for your cause and loyalty to your organization, but that is all you know! Through prospect research, you identify an additional $5000 gift that they had made to another nonprofit organization – revealing their potential as a major gift donor vs. just an annual fund donor. For more on annual giving, check out our list of annual fund strategies. By identifying which of your loyal donors have made a major gift elsewhere, you can find new major gift prospects within your existing donor population. Bequests are a donation type that continues to grow in importance for nonprofit organizations – according to an analysis by the U.S. Treasury, charitable bequests exceeded donors’ total lifetime charitable giving by 2.74 times. Unfortunately, many organizations struggle to identify donors who are strong candidates for this type of giving. As a result, they lose out on opportunities to counsel current donors about making bequests or deferred gifts. Prospect research can help your organization analyze charitable giving and wealth data to identify planned giving prospects within your list of existing donors. 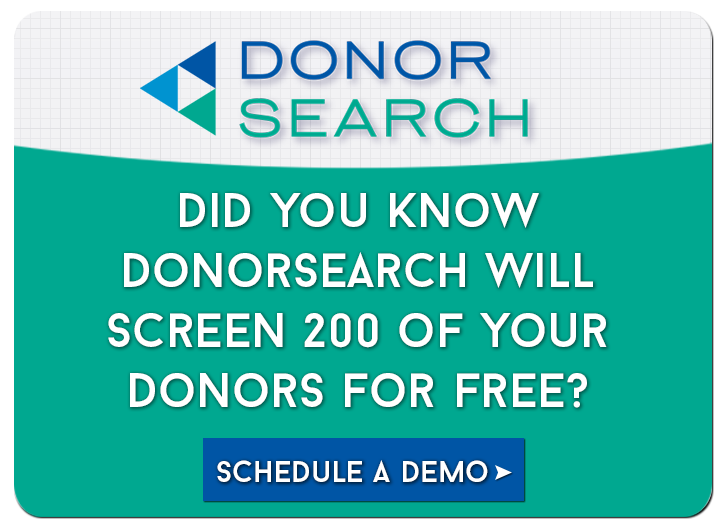 What’s more, DonorSearch has developed a proprietary planned giving prospect identification tool that uses modeling and analytics to determine which of your current donors have the highest likelihood of making a legacy gift to your organization. We understand that fundraising is more than just finding donations within your existing donor population – it means identifying new donors and educating them about your organization, its mission, and how they can help. Prospect research can reveal what corporate boards or charitable foundations your donors are involved with – opening the door to new relationships that your current donors can help facilitate. Another place to find donors is on the annual giving reports of other nonprofit organizations with similar missions or causes. DonorSearch created a prospect generator tool which allows nonprofits to browse the DonorSearch charitable giving database for annual reports by organization, location, and gift amount to help identify new prospects who already have an affinity for their cause or a history of charitable gifts. A donor’s historical giving data can tell a story of the causes they, their spouses, and their foundations have made charitable donations to over a lifetime of giving. By conducting a gift search on one of your existing donors, you can see what types of causes they support and analyze giving patterns. To this end, DonorSearch has designed a gift search function within our online tool that allows users to filter charitable gift amounts within our philanthropy database by year, amount, state, and other criteria. K-12 schools/ colleges and universities – Implement screening for an incoming class of students, new parent events, or at alumni events. Healthcare organizations – Screen new patients on a daily, weekly, or monthly basis to identify patients that can make a significant impact on your organization. Many prospect screening companies, such as DonorSearch, provide data appends to fill in missing information about your list of donors.